The Scottish Comedy Film Festival is a new, ambitious festival that takes place at Campbeltown Picture House. Having first started in 2018 there has been one full iteration of the festival and a two special events, the most recent of which was a weekend of comedy films as part of the BFI’s Comedy Genius events. I’ve delivered comedy filmmaking workshops for both the festival and the BFI special event. Working with composers James Gray and Jamie Smith we also delivered a live scoring workshop for a screening of the Mabel Normand Shorts. For the BFI Comedy Genius events I had the pleasure of introducing several of the films, including the first cinema screening of Freddie Frinton’s classic Dinner For One sketch in the UK. Freddie’s son Mike was part of this event and spoke with great affection about his father and his work. 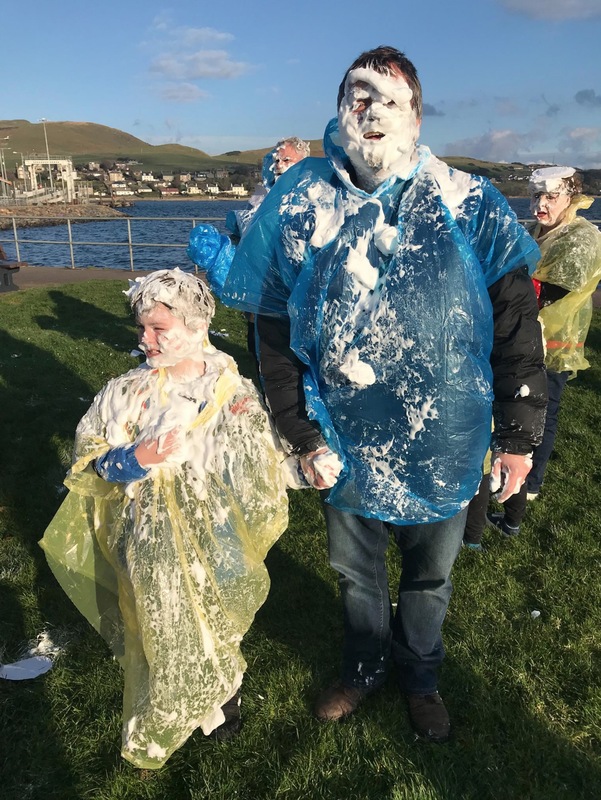 My son and I also took part in a giant custard pie fight, which was a heck of a lot of fun!